BALTIMORE (Hoodline) — Spending time in Riverside? 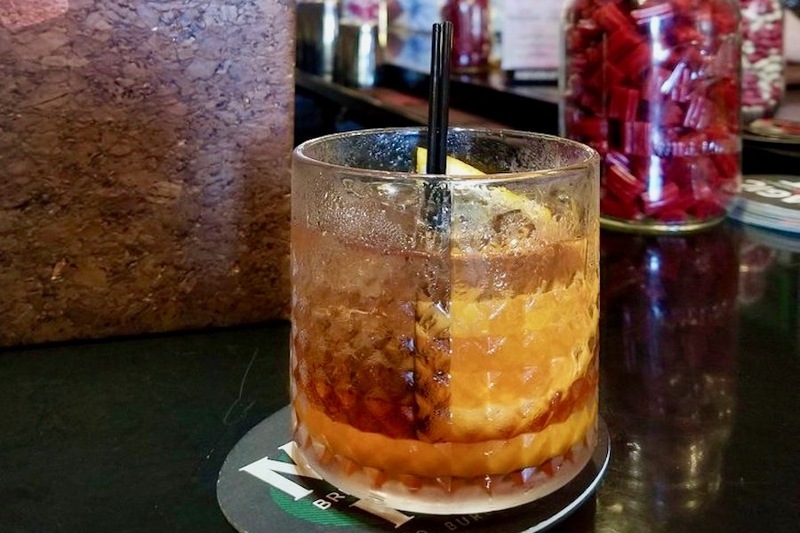 Get to know this Baltimore neighborhood by browsing its most popular local businesses, from Bar Liquorice to Koba Café. Hoodline crunched the numbers to find the top places to visit in Riverside, using both Yelp data and our own secret sauce to produce a ranked list of neighborhood businesses. Read on for the results. Topping the list is cocktail bar Bar Liquorice, which offers tapas and more. Located at 801 E. Fort Ave., it’s the highest rated business in the neighborhood, boasting five stars out of 253 reviews on Yelp. Along with its varied selection of cocktails, wine and beer, the bar offers a few appetizers to enjoy with each sip. Choose from a list of signature and specialty cocktails such as, Stay Classy, a cocktail that consists of Ron Burgundy “Great Odins Raven,” honey simple, fresh ginger and 10 year-old float Laphroig. Or try the Sidecar cocktail, with 12-year-old Elijah Craig, Cointreau, fresh lemon juice and lemon essence. Look for small plates like El Jefe, made with cherry bourbon and espresso, infused barbecue pulled-pork, tavern ham, pickles, Swiss cheese, Dijon mustard and red chili aioli. Next up is L P Steamers, a spot to score seafood, situated at 1100 E. Fort Ave. With four stars out of 1,224 reviews on Yelp, it’s proven to be a local favorite. The family-owned “crab shack” serves up fresh seafood on the menu that consists of appetizers, sandwiches, main entrées and there’s also a kids menu. 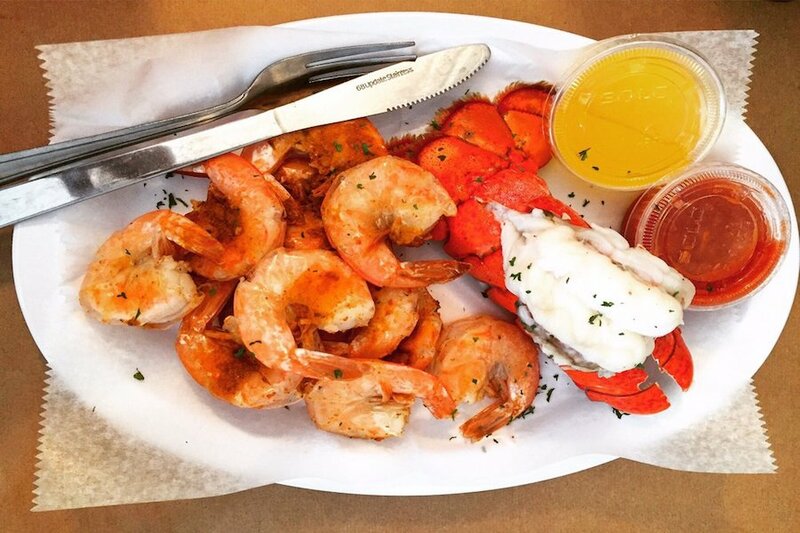 Start the meal with an appetizer from L P Steamers’s raw bar such as the steamed sampler with clams, mussles, oysters, scallops, shrimp and a lobster tail. For a full plate, try the stuffed soft crab that is pan fried in butter, flour, Old Bay seasoning and stuffed with a crab cake. Add a side of curly fries or homemade coleslaw on the side to make it a complete meal. 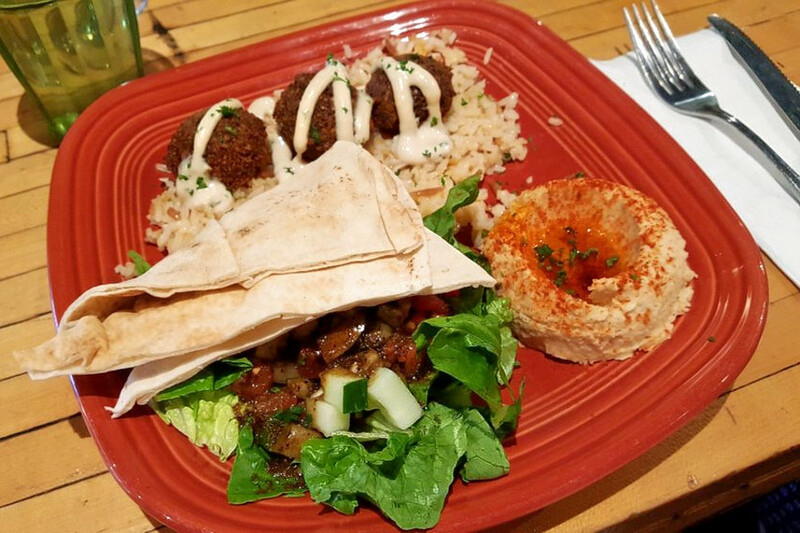 Middle Eastern, Mediterranean and Greek spot Baba’s Mediterranean Kitchen is another top choice. Yelpers give the business, located at 745 E. Fort Ave., 4.5 stars out of 342 reviews. Named after the owner’s father, Baba’s was opened by Farid Bishara Salloum with the family inspiration to create a “community-friendly café” that serves fresh Mediterranean food, according to its website. From pitas to Baba’s Mezza plates, there is a wide selection to choose from on the menu. There are also gluten free, vegan and vegetarian options available. Order the lamb kebabs made with tender lamb that’s been marinated and grilled and is served with lettuce, tomato and Lebne sauce. Go vegan and gluten free with the Dip Trio with Pita meal with hummus, baba ghannoush, dill lebne and served with pita. 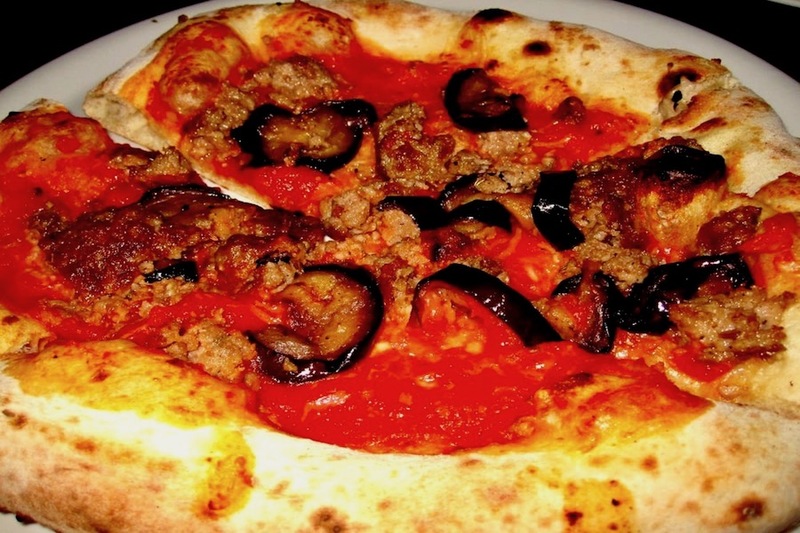 Hersh’s, an Italian spot that offers pizza and more, is another much-loved neighborhood go-to, with 4.5 stars out of 259 Yelp reviews. Head over to 1843-45 Light St. to see for yourself. The Italian restaurant serves up wood-fired pizza, pasta, salads, desserts and more. Order a few slices of a signature pizza like the kale and pistachio with Fontina, garlic, red pepper flakes and pecorino Romano. Or opt for The Tre Porcellini has provolone, sausage, braised pork, garlic, guanciale and red pepper flakes. Craving pasta instead? Then try the Tagliolini that has sautéed shrimp, calamari, garlic, lemon, smoked paprika, crushed red pepper and focaccia crumbs. “I am totally in love with this cute little place. We ordered the clam pie which was perfection. The crust was thin and wonderfully chewy, and the sauce and cheese were perfect in proportion. I could have eaten another pie,” wrote Yelper Danielle W.
Check out Pure Raw Juice – Federal Hill, which has earned 4.5 stars out of 163 reviews on Yelp. You can find the vegan spot, which offers juice and smoothies and acai bowls, at 1401 Riverside Ave. 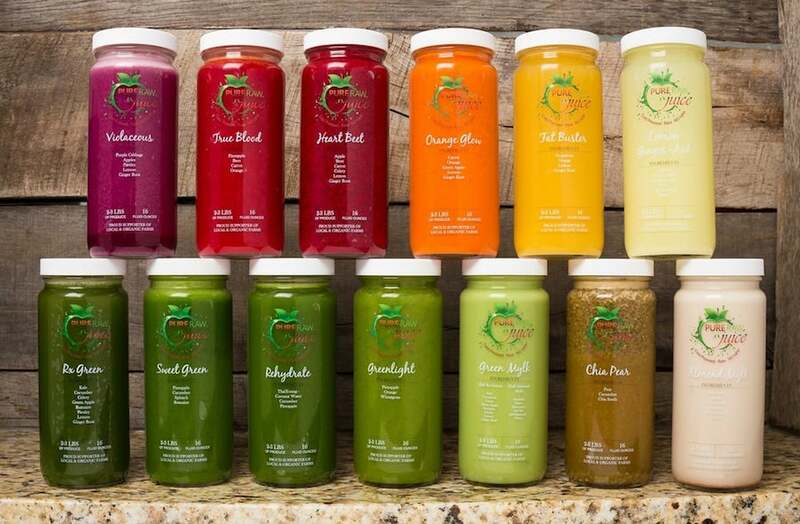 The vegan spot sells a wide selection of cold-pressed juice blends, smoothies and acaí bowls that provide many health benefits . Boost energy levels and improve your immune system with the Purple Haze Smoothie; it has blueberries, banana, cacao, raw honey, sun-warrior chocolate protein and the homemade cashew mylk. Or hydrate with the Tropic-O Juice, made with young thai coconut water, carrot, orange and pineapple. Hungry? Then go for a bowl like the Protein Blast that consists of acaí, banana, almond butter and the homemade cashew mylk. It’s topped with banana, hemp seeds, chopped almonds and granola at the bottom to boost the energy too.